Trying to revamp and glamorize clothes that you already have in your closet? Accessories are the key. 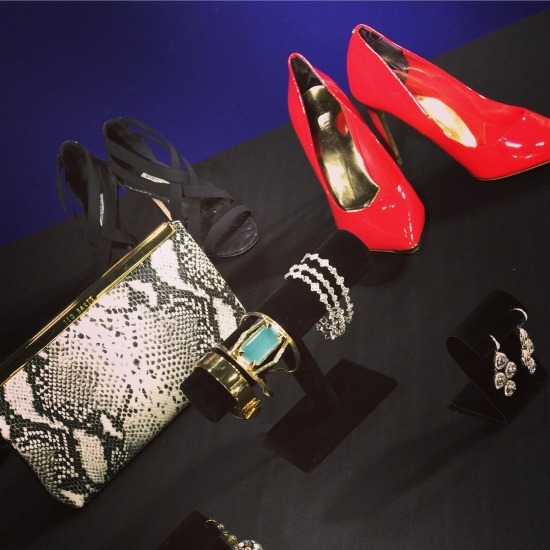 The right shoes, handbag or jewelry can completely transform the look of an outfit you’ve owned forever. 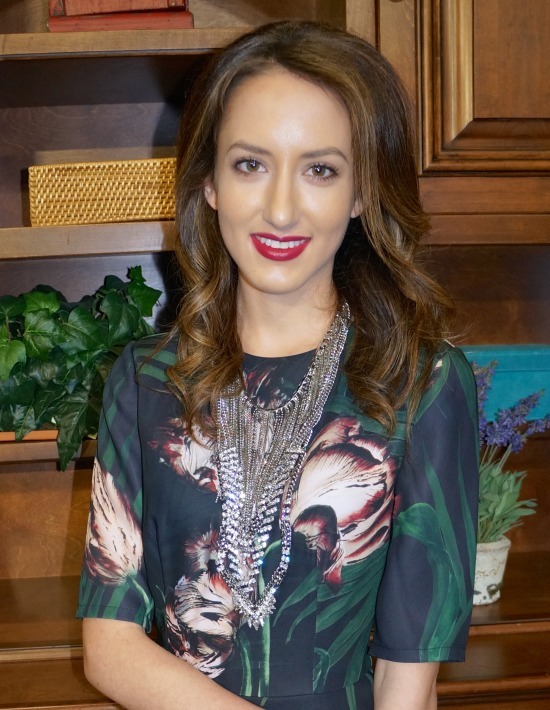 Today on NBC Channel 12’s Arizona Midday, MSL’s Angela Keller shows us how to get glam by updating with accessories. Layered Necklaces on Model, 3-Tier Crystal Necklace (no longer available) + Fringe Collar Necklace (similar here). Cuff & Hand-Chain Bracelet on Model, Kendra Scott. Ted Baker Crystal Droplet Cluster Necklace. Ted Baker Crystal Chain Necklace. Sorelli Crystal Ball Drop Earrings. Alexis Bittar Gold Cutout Cuff (similar here). Kate Spade Gold Bracelet (similar here). Nadri Crystal Tennis Bracelets (similar here). Sondra Roberts Glitter Minaudière (similar here & here). Ted Baker Red Patent Pumps.